Today, there is an unprecedented level of competition for B2B services and products, and the growth of the internet has played a massive part in this. But as the level of competition has grown, so too have the possibilities for marketing yourself to businesses. Digital marketing on the net means you no longer need to have a big advertising budget to succeed; you just need to make sure it’s spent wisely in order to reach people in the most effective way. 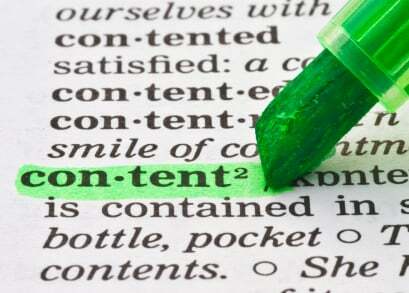 There are five aspects of digital content creation which your business can capitalise on. Article marketing –Positioning well-written articles related to your field elsewhere on the internet apart from your own website can help to draw in new customers. These may be how-to type guides, commentary on recent relevant developments – basically anything that your target customers are likely to find interesting. When done well, article marketing succeeds on several fronts; it can draw potential customers to follow the accompanying link back to your site, and provided your article is positioned on high quality websites these backlinks may also improve your ranking in the search engines. Finally, it can help establish your company as a thought leader in its field, and to build a reputation as a dynamic business that knows what it’s talking about. Web videos – Often, busy corporate buyers and small business owners would rather sit back and watch a short video about your company and what it does, instead of trawling through dry brochures and other text. A polished video with good production values can also mark you out as a company that is professional, modern and delivers high quality results. Electronic newsletters - Regular eNewsletters and other forms of email marketing can help you to build a meaningful relationship with your clients. The key to a good electronic newsletter is to make sure it provides value to your clients when you open it, so ask yourself what you would want to receive in your inbox. Electronic newsletters can also be a vital link to transport the audience to the various other types of digital content discussed here. eBooks PDFs - PDFs are versatile and easy to distribute. From white papers and reports, to brochures and catalogues, eBooks are a favoured format because they can be easily downloaded and then read on a computer screen, a tablet PC or printed out to be read in the traditional manner. Press releases - Press releases distributed online carry all the same benefits as their papery counterparts, with the added bonus that they can greatly increase your search visibility, and even get you listed on the newsfeeds of Google and other search engines. Provided that the press release is written well, is useful/ thought provoking and targeted towards your core keywords, you can also obtain countless backlinks from high ranking sites which will in turn increase your own SEO rankings. Successful online marketing is all about identifying the digital means which best suit your business, and then carrying them out in an integrated fashion as part of your overall strategy. If you would like to learn more about using content marketing in your marketing mix take a look a the Content Marketing White Paper. What are your top tips for content marketing? Let us know what content marketing tactics work for your business by leaving a comment below.